Welcome to the Official Thread towards the Miss Supranational 2019 crown! Miss Supranational 2018 concluded on the 7th December, 2018, with the victory of Valeria Vazquez Latorre from Puerto Rico, our 10th winner of the youngest pageant of the 'Big 5'. This pageant, whilst it may not have the advocacy credentials of Miss World or the popularity of Miss Universe, non the less has always lived up to it's motto of Glamour, Fashion and Natural Beauty. 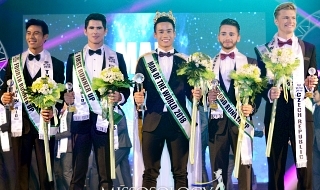 With easily one of the best productions, glamorous shoots and fun activities, there is a reason why this pageant has accumulated a significant number of contestants throughout the years. Follow the journey to Miss Supranational 2019, on a date that has yet TBA. Last edited by IanC062 on Thu Apr 11, 2019 5:28 pm, edited 7 times in total. Last edited by IanC062 on Fri Mar 08, 2019 6:48 pm, edited 2 times in total. Last edited by IanC062 on Sun Apr 14, 2019 3:38 pm, edited 4 times in total. Suriname has chosen their representative for the title of Miss Tropical Beauties Suriname 2018. Welcome to the Supra family, Sri-Dewi Martomamat ! Vietam has chosen their representative for the title of Miss Supranational Vietnam 2019. Welcome to the Supra family, Ngọc Châu ! Peru has chosen their representative for the title of Miss Perú Supranational 2019. Welcome to the Supra family, Tiffany Yoko Chong ! Costa Rica has chosen their representative for the title of Miss Supranational Costa Rica 2019. Welcome to the Supra family, Lohana Aguilar ! Last edited by IanC062 on Sat Mar 09, 2019 3:20 pm, edited 1 time in total. One of these lucky ladies will be chosen to represent Slovakia at Miss Supranational 2019. Follow the link in the 'Upcoming Nationals' post to follow Lior's fantastic coverage ! Last edited by IanC062 on Sun Apr 14, 2019 3:40 pm, edited 1 time in total. I like her face. Very cutesy. I'll wait until it's official before I add her to the list of contestants. This is a rumour I have seen on some Facebook pages. If it turns out to be true, well, the post above says it all. Could she redeem herself from Miss Universe 2016, by representing her powerhouse country, Venezuela, at Miss Supranational 2019 ? Japan has begun it's search for it's Miss Supranational Japan 2019 ! The 'Land of the Rising Sun' is one of the major nations to have it's own selection process for Miss Supranational. Tokyo/Kanagawa Prefectures will have their regional held on the 21st March, which is organised by Risa Nagashima, Miss Supranational Japan 2016. It looks like she has put together quite the production. Follow the above link if you want to check out the competition. This is one of the big ones. On March 8th, Indonesia, a growing darling of the Supranational Organisation, and also the rest of the 'Big 5' pageants, will crown 3 of their representatives for Miss Universe, Miss International and Miss Supranational. It is the 2nd Runner-Up who we will focus on, as she will be representing her nation at Miss Supranational 2019. Anyone with eyes can see that this is a strong batch. I have very high hopes that on the back of a fantastic 3rd Runner-Up finish at Miss Supranational 2018, Indonesia will send a fantastic contestant to put up a fight for the crown. Follow the link in the 'Upcoming Nationals' post to follow novemberRain's fantastic coverage ! Last edited by IanC062 on Sun Apr 14, 2019 3:41 pm, edited 1 time in total. it's national finals on the 27 July, 2019. Miss Supranational has never had a victor from the African continent. I'm not saying that South Africa has the only chance at changing this, but if there was any nation who could meet that challenge, it would be the 'Rainbow Nation'. Last edited by IanC062 on Sun Apr 14, 2019 3:44 pm, edited 1 time in total. The first selection of the year. Tomorrow, 8th of March, Puteri Indonesia, the biggest pageant in the nation, will be held. The 2nd Runner-Up, Puteri Indonesia Pariwisata, will be our lady. Which one of the beautiful contestants will take the crown ? Honestly, in such a strong batch, any number of them would be crown contenders. She has been crowned ! Indonesia has chosen Miss Jawa Barat as Puteri Indonesia Pariwisata 2019. Welcome to the Supra family, Jesica Fitriana Martasari ! Last edited by IanC062 on Sun Apr 14, 2019 3:42 pm, edited 1 time in total. 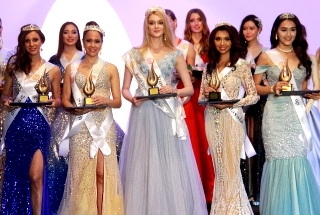 Some of the contestants for Miss Supranational Japan 2019 have been elected. Nishi Tokyo is Natsumi Takenaka ! Higashi Tokyo is Misaki Noguchi ! Kanagawa is Rina Kohno ! Osaka is Rika Watanabe ! The biggest national pageant on the planet, Binibining Pilipinas, is officially underway to crown a whopping 6 titleholders to represent pageant powerhouse the Philippines on the 9th June. Binibining Pilipinas–Supranational 2019, the 3rd ranked title in the hierarchy, is our title. There are 40 stunning Filipinas competing, one of which will represent her nation at Miss Supranational 2019. After winning Miss Supranantional 2013, the Philippines has been struggling to crack the winner's circle again. With these beauties, 2019 may be the year that the finally do so again. Follow the link in the 'Upcoming Nationals' post to follow PH_BEAUTY fantastic coverage ! I hate when a girl is dethroned but I really hate when a competitor is dethroned. We'll have to wait and see who will replace her. Hmm, I think I want to see GAZINI GANADOS competing in this pageant. Afterall, Supranational winners have great ramp skills and beautiful face. She could win Philippines' 2nd Miss Supranational crown. But for now, I'm seeing Indonesia winning their first. missofan705 wrote: Hmm, I think I want to see GAZINI GANADOS competing in this pageant. Afterall, Supranational winners have great ramp skills and beautiful face. She could win Philippines' 2nd Miss Supranational crown. Completely agree with you on Ganados. The moment I saw her, I wanted her for Supra and facially, she is a contender at any pageant, but seeing her in interview, I don't actually know will she get any crown. Indonesia is gorgeous, very doll like features, but there are only 4 contestants so far, so it's too hard to really say who will win. Indonesia followed up last year's performance with a top notch candidate though. On April 27th, one of these beautiful Slovakian women will be crowned 2nd Runner-Up at Miss Slovensko and earn the right to represent her nation at Miss Supranational 2019. Eastern European nations have always performed well at Miss Supranational, usually earning at least one spot in the Top 5. Will Slovakia throw it's hat into the ring and crown a lady who can give her nation a fighting chance at getting it's first Supranational title ? Lior's fantastic coverage is still on going, so follow the link in the 'Upcoming Nationals' section to give it a look. Miss Supranational Netherlands 2019 will be crowned on the 14th of April. The gorgeous country of the Netherlands holds many equally stunning women, many of whom have conquered the world of pageantry. Let's wait to see who our Dutch representative will be. Follow the link in the 'Upcoming Nationals' section to keep an eye on any updates. The African juggernaut of South Africa has revealed the line -up of stunning ladies who will compete for the title of Miss Supranational South Africa 2019 on the 27th of July. With such a pretty bunch of women, it is anyone's game. Let's see how the competition unfolds over the coming months. Follow the link in the 'Upcoming Nationals' post to follow the official coverage ! Our first European contestant has just been crowned. 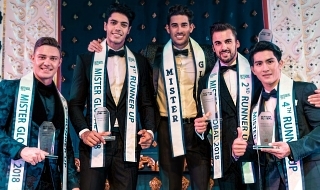 The Netherlands has crowned an experienced pageant contestant to represent them at Miss Supranational 2019. Welcome to the Supra family, Nathalie Yasmin Mogbelzada ! Poor Ecuador. They always have such stunning women competing internationally, but almost unanimously, they get no love. On the 27th of April, this nation will crown it's contender for Miss World. It is her 1st Runner-up who is our lady. Hopefully, Ecuador may be able to enter a beauty for this year's Miss Supranational pageant.